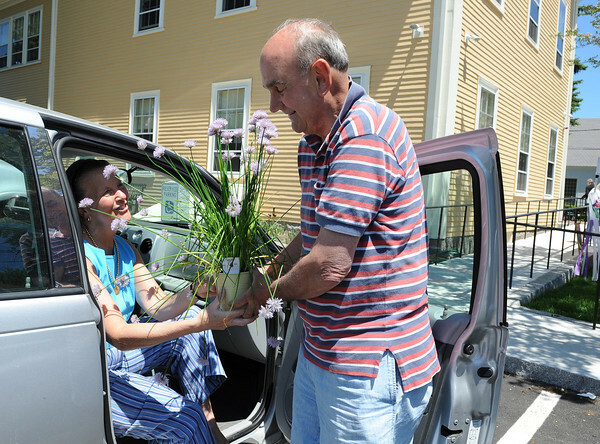 Rockport: Attorney Bill Marotta hands his wife Clair Chives plant she just bought at the Rockport Garden Club Plant Sale held Saturday morning at the Rockport Community House. Clair who's a retired culinary arts teacher chose the chive plant for its eatable flowers that she would spinkle over a salad,and the chives for other recipes. Desi Smith/Gloucester Daily Times.